Purchase the course below by clicking the “Add to Cart” button. Check your email inbox. You will receive an email with a link to take the exam. Once you pass the exam, you can immediately print your certificate. Need a Home Study Book? If you would like a home study book to be either mailed or emailed to you, please click here to request a home study book. Ohio Cosmetologists, Advanced Cosmetologists, Manicurists, Advanced Manicurists, Estheticians, and Advanced Estheticians are required to complete 8 hours of continuing education every 2 years. The 8 hours must include 1 hour of Board Laws & Rules and 2 hours of Safety and Sanitation. The 1-hour Rules and Law course is ONLY provided by the Board. Our 7-hour course includes the 2 hours of Safety and Sanitation. The next deadline for your continuing education is January 15, 2021. Not all online and correspondence continuing education courses are approved in Ohio for license renewal, so before taking a course other than ours, you will want to make sure that the course is approved. If your continuing education provider is not approved by the Ohio State Board of Cosmetology, then the course will not count toward the continuing education hours needed to renew your license. Still got questions about your continuing education requirements or about how our courses work? Read on! Do you report my results to the Ohio State Board of Cosmetology? 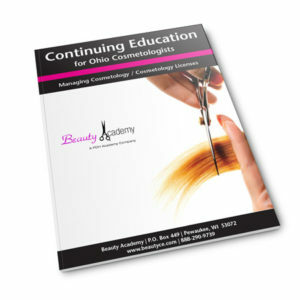 Yes, we report all continuing education results directly to the Ohio State Board of Cosmetology. That way, you can easily renew your license. Why do you only offer 7 hours when 8 hours are required? We only offer 7 of the required 8 hours because the one hour of Board Laws and Rules has to come from the Ohio State Board of Cosmetology itself. Which continuing education course should I take? If you hold a Cosmetologist or Advanced Cosmetologist license in Ohio, you can take any of the continuing education courses listed above. If you hold a Manicurist or Advanced Manicurist license, you must take the “Ohio Manicurist 7hr CE Class”. If you hold an Esthetician or Advanced Esthetician license, you must take the “Ohio Esthetician 7hr CE Class” above. I am over 65 years old. Do I still need to take continuing education? Licensees age 65 or older before January 31, 2021 are not required to complete continuing education. We offer online and correspondence continuing education to renew your Ohio Cosmetology license. 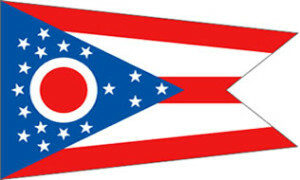 We do not offer any classroom continuing education courses for Ohio. We find that most students prefer to complete their continuing education either online or out of a course book. Yes, all graduates of our Ohio cosmetology continuing education course will receive a certificate of completion. If you complete the exam online, you will be able to immediately print your certificate. If you mail in your answer sheets, we will either email, mail, or fax the certificate to you. Do I need to provide my certificate to the Ohio State Board of Cosmetology to prove that I completed my continuing education when I renew my license? No. Once you complete our continuing education course for Ohio and receive your certificate of completion from us, just save it for your records. 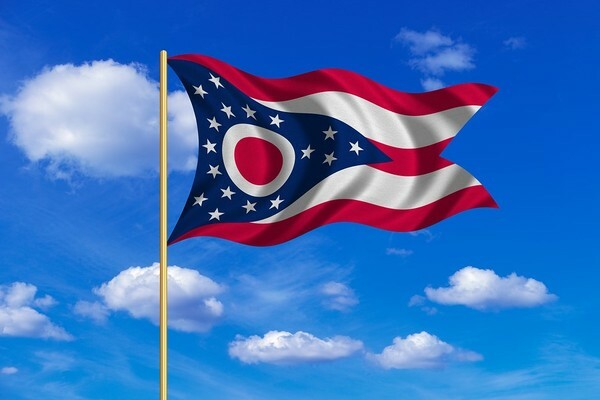 Ohio requires that you save the continuing education certificate for a period of two renewals – basically 4 years. No. Completing your continuing education credits does not complete the renewal of your license. Once you have completed all of your required continuing education, you must pay the Ohio State Board of Cosmetology the license renewal fees, as we cannot do that for you. Yes, our courses are approved by the Ohio State Board of Cosmetology and will fulfill 7 of your 8 hours of continuing education requirements. Yes, our courses are mobile compatible. You can take our courses on your smartphone or tablet, in addition to our home study booklet. No problem. Just call our continuing education specialists at (888)290-9739 or email us at support@beautyce.com and we can walk you through what you need to do to complete your Ohio cosmetology continuing education requirements. It doesn’t matter whether you want to complete our cosmetology continuing education courses in Columbus, Cleveland, Cincinnati, Dayton, Toledo, Akron or Canton; our online and correspondence cosmetology continuing education courses can be completed from anywhere. What are you waiting for? Check out our cosmetology courses today and get started!